Candidates responded swiftly to Tampa Bay Times report published Friday. 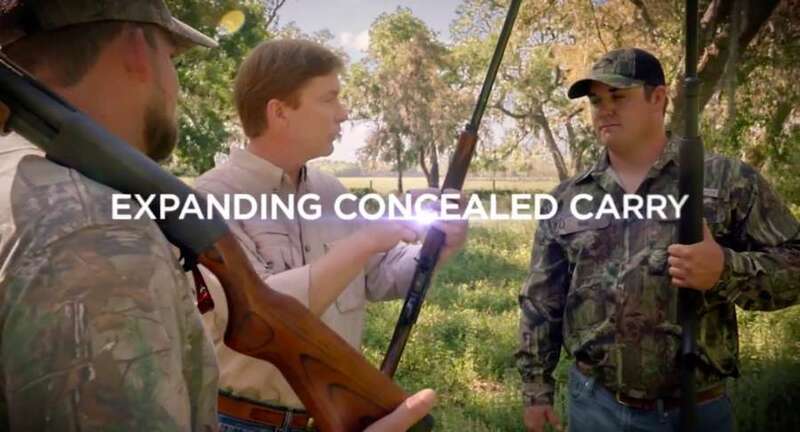 Democratic candidates for governor responded swiftly Friday to a Tampa Bay Times report that the Florida Department of Agriculture and Consumer Services under Adam Putnam failed to conduct federal background checks on tens of thousands of concealed permit applicants for more than a year. Putnam is a Republican candidate for governor. "Adam Putnam's rhetoric on guns has been dangerous — but this is far worse," Tallahassee Mayor Andrew Gillum said in a statement. "His department's failure to conduct background checks is a dereliction of Putnam's duties, and he should consider whether he is able to continue running for Governor or serving as Commissioner of Agriculture." King followed up with a statement: "Adam Putnam should resign." Former Miami Beach Mayor Phil Levine called for an immediate investigation. "Negligence that threatens and costs lives must never be tolerated—Adam Putnam's lack of due diligence and disregard to follow protocols endangered communities and put people's lives at unnecessary risk," Levin said in a statement. He added: "This is a career politician who boasted about being an 'NRA sellout,' well, he's got just want he wanted." "Adam Putnam isn't just a self-proclaimed "proud NRA-sellout," he's a downright danger to Floridians and should drop out of the race for Governor and resign from his position as Commissioner of Agriculture immediately. At best, Putnam's actions display gross negligence and incompetence: he is totally unfit for our State's highest office. But today's revelations go deeper than lack of oversight and have made it clear that as far as Adam Putnam is concerned, our safety can easily be bought and sold to the highest bidder – or the special interest group with the deepest pockets. "Adam Putnam has allowed those mentally or criminally unfit to carry a concealed weapon to do so freely – a horrifying fact made worse with the understanding that this year-plus lapse came during the biggest spike in permit applications in the history of our state, and the Pulse nightclub tragedy. "Unlike Adam Putnam, I cannot be bought and sold. I believe in gun control and commonsense gun reform laws that firmly keep our Second Amendment rights intact without compromising the safety of our citizens, by ensuring guns are kept out of the hands of those who should not have them. And I cannot be swayed by special interests. I am a self-made man committed to using my unparalleled experience to benefit Floridians of every age, race, religion and socioeconomic level – starting with the most basic task of ensuring safety for our communities. I am committed to ensuring my own three young sons, and each and every child in our great state, to grow up without fear of gun violence. We may have different ideas on exactly how to get there, but we should ALL be able to agree that keeping guns out of the hands of criminals and those who are mentally ill is the right thing to do. It is clear that Adam Putnam's judgement has been compromised quite literally at our expense." Read the Tampa Bay Times report here. Florida Democratic Party Chair Terrie Rizzo said the report was "damning and disturbing report that should disqualify Adam Putnam from being governor." Other Florida politicians weighed in as well. TB Times: @adamputnam failed to run concealed carry background checks for OVER 1 YEAR. My blood is boiling. This is an unimaginable failure for anyone who serves the public. He made FL less safe. He put lives at risk. Meanwhile, the progressive American Democracy Legal Fund called for Gov. Rick Scott to open an investigation into the year-long incident. "How many lives have been hurt by this blatant disregard for the safety of Floridians?" said ADLF's Brad Woodhouse. "This egregious lapse requires an immediate and fully independent investigation to follow the facts and assign responsibility." Putnam's campaign did not immediately respond to a request for comment. Democrats will meet Saturday to debate for the second time.